Firefighters from Devon & Somerset Fire & Rescue Service will be offering kitchen fire safety advice to shoppers in Asda stores this Saturday 28th April at Paignton, Torquay and Taunton. 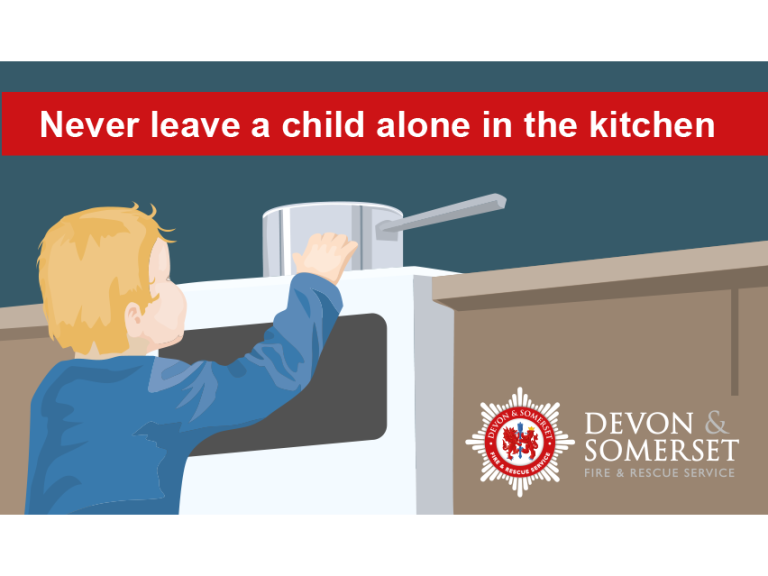 Devon & Somerset Fire & Rescue Service will be particularly focusing their fire safety messages on staying safe in the kitchen. This is because 61% of accidental dwelling fires in Devon and Somerset start in the kitchen due to people being distracted while cooking. Over 50% of fire related injuries occur when the kitchen is the room of fire origin. So whatever happens elsewhere in your home, always make sure you have one eye on the stove or microwave to reduce your risk. These events support the National Fire Chiefs Council’s (NFCC’s) collaboration with Asda as the supermarket chain was keen to offer fire services the opportunity to help keep people safer. • Take care if you need to leave the kitchen whilst cooking. Take pans off the heat or turn them down to avoid risk. • Double check the hob is off when you’ve finished cooking. • Take care if you’re wearing loose clothing – this can easily catch fire. • Don’t leave children in the kitchen alone when you’re cooking. Keep matches and saucepan handles out of their reach to keep them safe. • Take care with electrics - keep leads and appliances away from water and place grills and toasters away from curtains and kitchen rolls. • Have an escape plan in place. • If a pan catches fire, don’t take any risks – Get Out, Stay Out, and Call 999. Thought about making the call to request free Home Safety advice? The majority of fires we attend in properties resulting in injuries or fatalities involving vulnerable people. Our visits are designed not only to promote general safety but well-being within our communities. Make the call to help us to help you stay safe call free now on 0800 05 02 999.